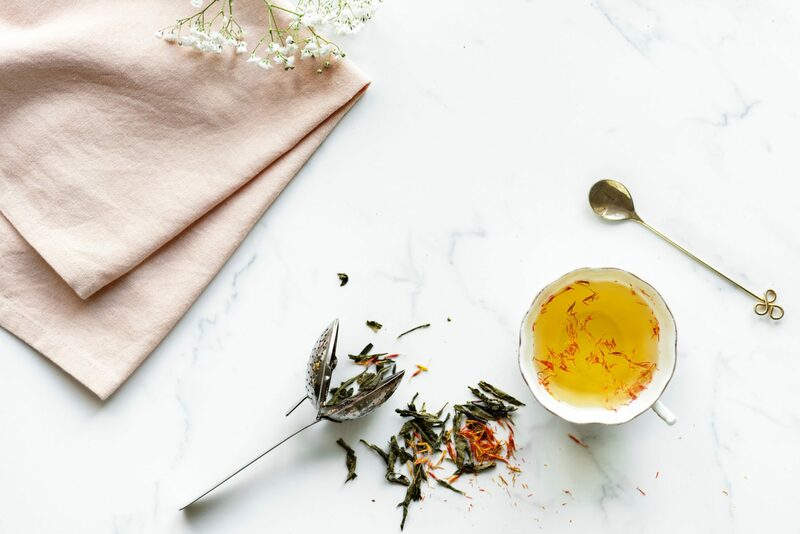 Hailing from ancient China, teas have become common staples of our everyday lives. We drink it when we wake up, when we’re sick and even when curling up to a good book. 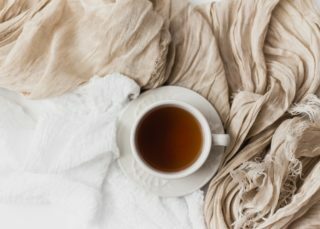 While a cup of tea is known for its relaxing effects, it’s actually one of the best natural, anti-aging remedies out there. 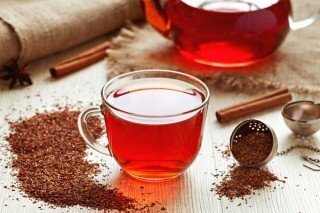 There are countless variations of teas in the world and a lot of them are inherently rich in antioxidants and other vital minerals. As a result, they have the ability to not only prevent premature aging in the skin but also offer health benefits. From glowing skin to anti-inflammatory effects, read on for our favorite anti-aging teas. Created from dried chamomile flowers, chamomile tea contains antibacterial and anti-inflammatory properties. Thanks to its antibacterial contents, chamomile tea can help to reduce the appearance of acne breakouts. As stress can cause breakouts, then calming effects of chamomile tea helps to prevent this. 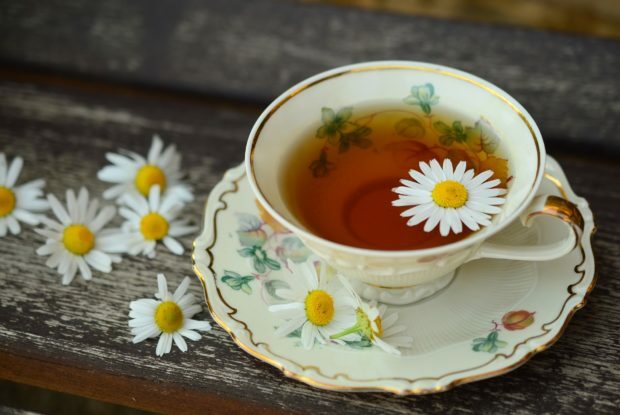 When used topically, chamomile tea can alleviate acne, spots, and puffy eye bags. Also, due to their concentration of the flavonoid quercetin, chamomile can provide protection from sun damage (1). If you were to Google-search green tea, you would be bombarded with information about how beneficial it is for one’s health. Yet the question remains, how factual is this information? Like most teas, green tea contains a copious amount of antioxidants and flavonoids. However, one compound that stands out is EGCG. This compound has been credited with fighting off free radicals thus preventing the formation of wrinkles as well as reducing the risk for chronic diseases (2, 3, 4). Created from brewing the vibrantly-colored flower petals, hibiscus tea can be enjoyed hot or cold. According to an animal study published in the journal Drug and Chemical Toxicology, the antioxidants found in hibiscus tea can rid the body of over 90% free radicals. These antioxidants can also help protect against cancer and harmful bacteria (5,6). Hibiscus tea also contains vitamin C and, aside from strengthening your immune system, vitamin C also encourages the production of collagen. This can then help the skin maintain a plump and youthful appearance. Originating from Japan, matcha tea is a ground powder made from purely ground green tea leaves. Like green tea, it is rich in antioxidants as well as catechin and chlorophyll. Aside from clearing the body of free radicals, matcha tea can also be used in your beauty routine. The powder has been listed as an ingredient in a lot of DIY skin products such as face masks. 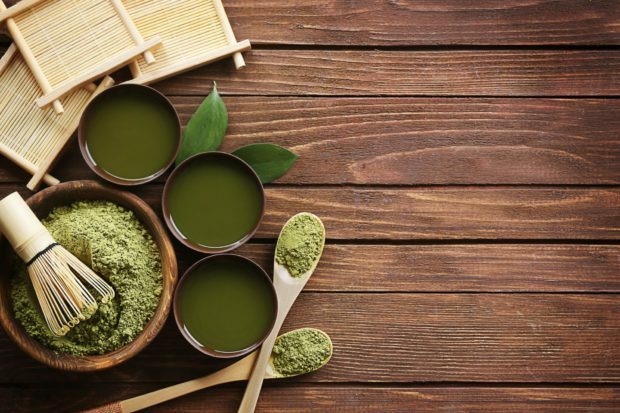 Click here for more on why matcha tea is good for your skin. Proudly South African, this red tea is rich in antioxidants that help to prevent diabetes and high blood pressure. In fact, a South African student once proved how rooibos could be used as an alternative form of treatment for diabetic dogs (7). The antioxidant content can also fight off against free radicals, thus preventing the formation of wrinkles and fine lines. As it is the least oxidized tea, white tea is packed with antioxidants and is essentially the purest of all teas. Collagen and elastin help to maintain the youthful appearance and elasticity of the skin. Unfortunately, the levels of these proteins in the body decreases as we age. Thankfully, white tea helps to maintain skin health by preventing the breakdown of collagen and elastin (8). While we discussed the benefits of freshly brewed tea, it is important to mention the importance of fermented teas. Kombucha is made from fermented black tea thus aside from its antioxidant content, it is also rich in probiotics. Click here to find out why you need to pick up and enjoy a cup of this fermented tea. keep your metabolism burning all night long, right? Glad to see the love for whtie tea! I don’t think I could go a day without MeiMei’s Moonlight White (https://www.meimeitea.com/products/buy-yunnan-moonlight-white-tea-yue-guang-bai). Yum!